The Rolling Stones have given us a new video from their Zip Code tour. This one comes on the heels of Wednesday’s stop at Nashville’s LP Field and features country star Brad Paisley talking about what it’s like to serve as their opening act. We also see the many musicians who turned up for the concert, including Joe Walsh, Miranda Lambert, Carrie Underwood, Martina McBride, Dierks Bentley, Tim McGraw, Jack White and Sheryl Crow, who sat in with the band for “All Down the Line” when Ultimate Classic Rock caught them in Chicago two summers ago. 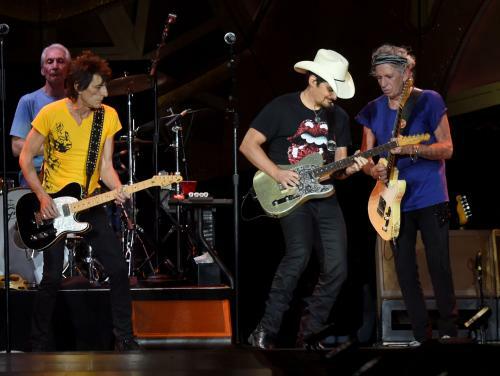 Brad Paisley Talks About Opening for the Rolling Stones in New Video - click here to read more.